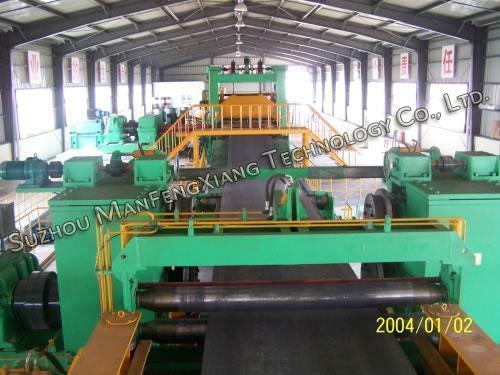 Cut-to-length machine (CTL line) is a kind of steel coil leveling equipment. It’s used to cut the sheet which is after uncoiled into required length. Integrated with scissor and drop-type stacker, cut-to-length machine features hydraulic adjustments and oiling capabilities. 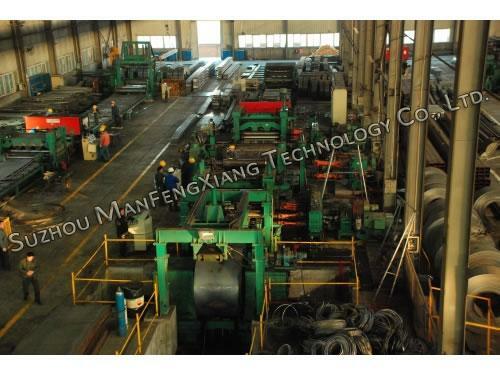 The finished steel coils of CTL line have uniform width and flatness. Cut-to-length machine (CTL line) is suitable for cold-rolled steel, hot-rolled steel, carbon steel, stainless steel, galvanized steel, color steel plate and various metal materials. 1. 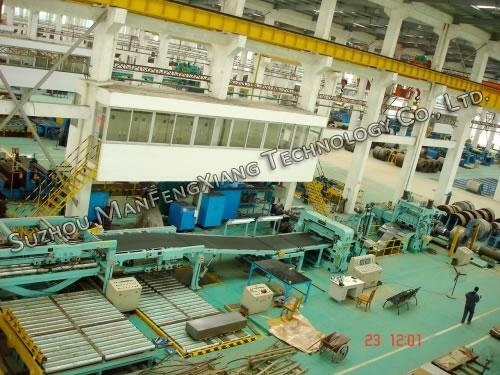 High speed thin board cut-to-length machine is one member of cut-to-length line. It is used to cut the metal plate by de-coiling, leveling, sizing and shearing into the desired length and then stacked. 2. Thick board cut-to-length machine is suitable for common carbon steel with coil thickness within 6 to 25 mm and cutting speed range of 0 to 40 m/min. 3. Slitter/cut-to-length combination machine line is a combination line. It is made up of 1 DC cabinet, 1 main operation cabinet, 2 accessory cabinets and PLC controlling system. The following table is an example of the parameters of slitter/cut-to-length combination machine line.